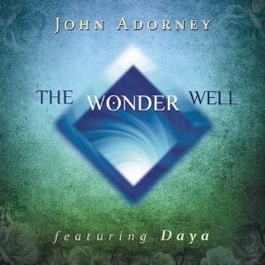 Ever since Adorney released The Wonder Well in 2014, this artist has managed to compose and create a recording every single consecutive year since then. Needless to say Invisible Songbird continues to keep this chaotic creation rate intact and as well as John’s profound ability to maintain high quality content. With a little help from a few familiar friends, Invisible Songbird is another solid recording from the most reliable John Adorney. Once again Adorney shows his diverse musicianship with instrumentation including the keyboards, guitar, viola, dulcimer, banjo, recorders and dobro. Composition wise, with the exception of borrowing themes from J.S. Bach within Adorney’s “Love Most Bright” composition and the lyrics of vocalist Marcel Adjibi on “One Voice” the writing is all John Adorney. Speaking of “One Voice” it is a very optimistic and buoyant recording driven by Adorney’s rhythmic piano work and Adjibi’s vocal chants. 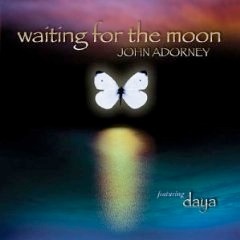 In addition, there is the edgeless “Shadows And Light" that features Daya’s soothing wordless vocal harmonies that are in total unison with Adorney’s guitar work. She is also featured on the impressive opening track “Drink The Water And Feed The Fire”. As for the remainder of the album, Adorney goes it alone with the very organic “Welcome Home” jumping out which includes him on the dobro. In complete contrast there is the piano driven “Rags To Riches” which maybe one Adorney’s most stripped down composition to date. 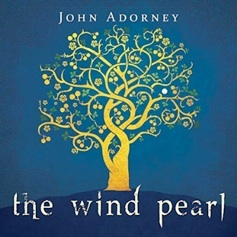 Needless to say, John Adorney’s streak of one recording for 5 consecutive years’ dates all the way back to 2014 and it continues to show no signs of diminished returns. 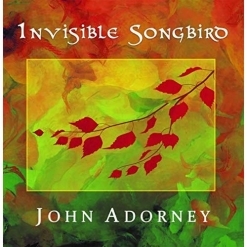 Quite the contrary to the album title, Invisible Songbird continues to reflect John Adorney more than capable of a high profile proliferation of more than palatable platters.